Librarian Erin Fields tells the Ubyssey about how professors are leveraging technologies to help make learning more flexible (October 15, 2016). Open UBC, the Library’s annual celebration of Open Access week, highlights areas of open scholarship for UBC’s researchers, faculty, students and staff. The events include presentations, debates, workshops, demonstrations and a film screening. This year’s events will be held October 28 and 29, in conjunction with UBC’s Celebrate Learning Week. All events will be held in the Irving K. Barber Learning Centre, in the Lillooet Room (301) unless otherwise stated. For registration and a full schedule of events visit the Open UBC website. 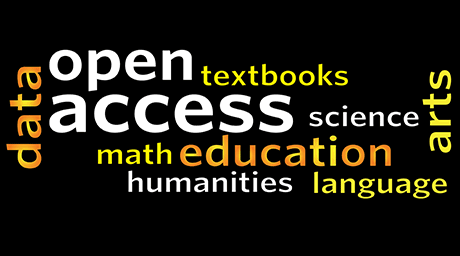 October 16th, 2014 by Jessica Woolman | Comments Off on What is open access? 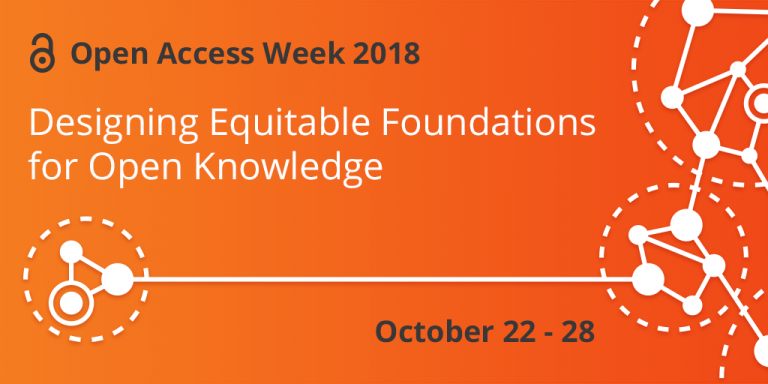 October 20 to the 24 is International Open Access Week and a number of educational institutions are offering workshops and events to celebrate open access. You’ve probably heard the term “open access” before, but what does it really mean? And how is it relevant to you as a student, researcher or instructor at UBC? The key components to open access include removing price, copyright and access barriers to information. For example, most books or articles are individually affordable – but for a researcher, or a library, to consult hundreds of works would be a significant cost, and thus, a price barrier. Open access encourages publishers to remove price-based access, or “toll road” access. It also encourages researchers to share their work in open access journals or scholarly publications with no permissions or copyright barriers. Restrictive licences and publisher policies limit who can view articles and how they can be used or shared with other people. Authors are often restricted from sharing their own articles with colleagues or students. Open access encourages removing most permissions barriers, so that scholars are free to access or reuse literature for academic or research purposes, so long as the original author is properly cited – for example the Wikimedia Commons uses Creative Commons licenses. This would mean access is available to everyone: policy makers, health care workers, professionals, educators, scholars in the developing world, and the public. This has many benefits for researchers – open access articles and journals tend to be cited more frequently than non-open access works. Open access makes scholarly research available to more people who can put it to use. It also frees those people to use and reuse it. How can you support open access initiatives at UBC and beyond? This content was developed from the Scholarly Communications @ UBC website and Peter Suber’s Open access (Cambridge: MIT Press, 2012). Posted in Events, General, Open Access, open ubc, scholarly communications | Comments Off on What is open access? Are you curious about open access and how it can increase your research impact? Join us at Open UBC 2013 today! Find out how digital technologies and contemporary open education practices are affecting the economics and traditional business models of education. Learn about new faculty-based innovative open projects, courses, sharable and extensible tools and approaches for student learning and engagement at UBC. Discover how UBC students are leading open access for their peers and beyond. Register to attend any (or all) Open UBC event session held in conjunction with UBC’s Celebrate Learning Week (Oct. 20-26) at: http://oaweek.open.ubc.ca/register/. Gregor Kiczales is a Professor in the Computer Science Department at UBC. He is an ACM Fellow and the 2012 recipient of the Dahl-Nygaard Senior Prize for his achievements in programming language design research. He is also the instructor for the Introduction to Systematic Program Design MOOC at Coursera. Hear his Open UBC 2013 talk about MOOCs and on-campus learning happening at UBC at: http://oaweek.open.ubc.ca/2013/09/14/moocs-and-on-campus-learning/. Register for any (or all) Open UBC 2013 event sessions at: http://oaweek.open.ubc.ca/register/.